Santa Barbara, CA –February 8, 2017 — Enterprise and supply chain software provider QAD (NASDAQ: QADI) names Strategic Information Group (Strategic) it’s Partner of the Year for FY17, marking 9 out of 10 years that Strategic has won this prestigious award. In addition, Suzy Reno received the President’s Club Award in recognition for exceptional QAD Software Sales and Support. 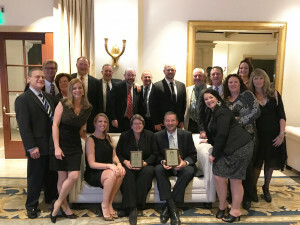 Both awards were presented at QAD’s annual international sales conference held in Santa Barbara. Strategic is a long standing strategic partner of QAD. Strategic’s deep industry experience and commitment to customer service ensures that Strategic & QAD’s mutual customers enjoy the full power of the greater QAD organization.